Left 4 Dead 2 beta Coming to Linux Next Week! Long before the official arrival of Steam for Linux client, we had a report revealing Valve's ambitious plans which also included a Linux port of their popular title Left 4 Dead 2 aka L4D2 (further read: 20 most exciting Linux games for 2012). Rumor-mills can all rest now. 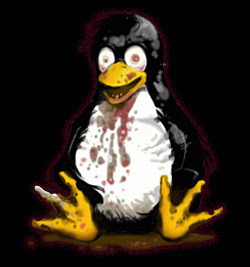 Valve has officially announced the arrival of L4D2 beta for Linux. And it's coming next week! The L4D2 Beta build is a separate download from the main game. This is where we are testing new features to the game. Next week onwards, there will be a new L4D2 client for Linux as well. The beta itself will also be opening up to all L4D2 owners. It will appear in your library alongside the main L4D2 game starting from next week. The announcement itself couldn't come on a better date, the same day when Ubuntu 13.04 Raring Ringtail was officially released. Linux gaming is on a roll.